In what will be ten years to the weekend after Iron Man arrived in theaters in May of 2008 we will see the (first part of the) culmination of the first three phases of the Marvel Cinematic Universe. It's hard to believe we've been living in this world for a decade now when, looking back, those beginnings were so humble. I clearly remember sitting in the theater not knowing what to expect from Iron Man, but mainly being excited that a new The Dark Knight trailer was playing before it. Oh, how the tables have turned as we come off the lukewarm reaction and success of the rushed Justice League and see what time, patience, and care have done for the MCU with our first glimpse at Joe and Anthony Russo's Infinity War. Bringing together all of Marvel's heroes has always been ambitious, but as the MCU-train has rolled on and the roster only continued to expand it has become more and more curious as to how Kevin Feige and the Russo's might bring this all together in a cohesive manner. If this first trailer is any indication it seems they have done so with real charm and scale. There isn't a lot of details plot-wise, but there are enough shots to suggest that, if you've been following along with the previous MCU films, many of the strands from previous films will be, if not resolved, at least touched upon in this first part of what will ultimately be a two-part finale. I honestly can't get over how this trailer has made me feel. It made more hairs on my arm stand up than do in that shot of Peter Parker experiencing his Spider sense. Spider-Man's suit looks amazing, Black Panther's line in regards to Captain America is fantastic, and that music...that music is really paying off for Marvel. Good for you, Alan Silvestri. The visual scope also looks to fit the number of characters which has been something of a shortcoming for Marvel in the past with many of their films feeling great, but looking flat. The location shots among the sprawling green planes of Wakanda lend a sense of true epicness and that final tag, that final tag is just perfect. I seriously can't wait. 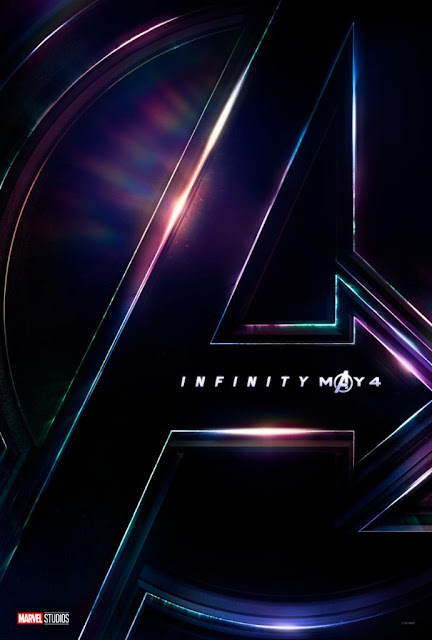 Avengers: Infinity War stars Tom Holland, Scarlett Johansson, Robert Downey Jr., Elizabeth Olsen, Chris Pratt, Chris Evans, Benedict Cumberbatch, Tom Hiddleston, Zoe Saldana, Chris Hemsworth, Chadwick Boseman, Anthony Mackie, Paul Rudd, Brie Larson, Karen Gillan, Jeremy Renner, Cobie Smulders, Vin Diesel, Peter Dinklage, Sebastian Stan, Samuel L. Jackson, Bradley Cooper, Pom Klementieff, Dae Bautista, Josh Brolin, Paul Bettany, Tessa Thompson, Mark Ruffalo, Benicio Del Toro, Benedict Wong, Don Cheadle, and opens May 4th, 2018.